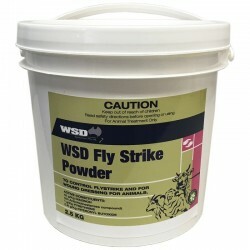 Sykes Big L Wormer for Poultry and Pigs may be either mixed with the feed or given as a drench. 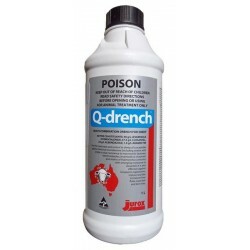 Drench- 5mL/10kg liveweight to a maximum of 70mL for pigs weighing 140kg and over. In Feed- Calculate accurately the weight of the pigs and measure out dose accurately. Dose at the rate of 5mL/10kg. Hence pigs of 40kg will need 200mL. Add sufficient water or skim milk to dampen the mash or pellet then mix thoroughly. May be given in skim milk only. NOTE: It is important with pigs that the wormer is consumed quickly, therefore make sure that the pigs are slightly hungry before administration, ensure they have ample feeding space and that pigs of a comparative size are treated together. Treat small or weak pigs separately. For the treatment of Large Round Worm, Hair Worm or Caecal Worm, dilute 100mL of Sykes Big L wormer with 2 litres of clean drinking water. 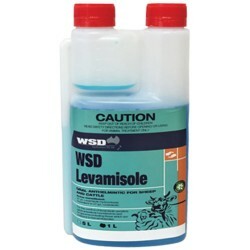 If treating Large Round Worm only dilute 100mL with 3 litres of water. The dose should be consumed in the shortest possible time. It is best to withhold water from birds for 2 hours before nightfall. Administer medicated water so that birds will drink at daylight. 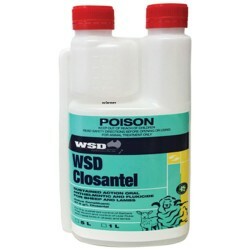 Replace with clean water after 8 hours or when medication is consumed, taking care to wash out water tanks first. Birds under continuous light should be treated by withholding water for 2 hours, then give the medicated solution. Dose at the rate of 350mL medicated water for each 10kg live weight. Administer in usual drinkers. Is Big L Pig & Poultry safe to feed to young birds?